I’ll spoil this right now. My first review is going to be an unashamed panning. 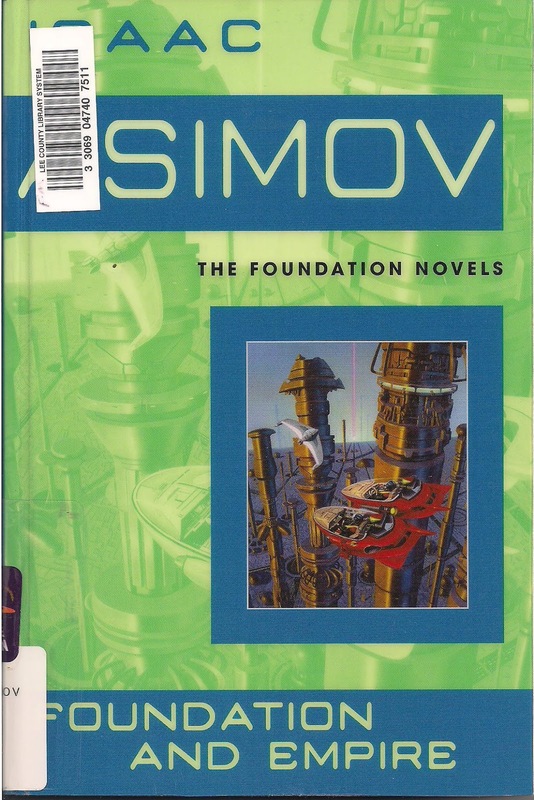 Many people love the Foundation Series books, but I’m going bold. Since this is the first book, the format and rating system is still up for grabs as far as I’m concerned, so please let me know what works and what doesn’t, or just make your own suggestions. This is a pretty short discussion so pick on anything you want in the comments. Enjoy! Psychohistory is a branch of mathematical sciences in the Foundation Series which allows scientists, one in particular, to anticipate the future. Psychohistory assumes individuals are not important on historical scales as an individual’s actions cannot dramatically change the course of history (interestingly though, technological advances are one of the few events that do alter history unexpectedly enough to render psychohistorical computations ineffective). The founder of the science, Hari Seldon, was able to predict the course of history with an extremely high degree of certainty. This ability guided him in the creation of The Foundation, the society which would eventually overthrow the Galactic Empire. The Mule was written in 1945, the year Auschwitz was liberated, and I kept waiting for metaphors about epistemic responsibility or something…anything. Instead of picking up on the possibility for intense philosophical debate though, The Mule becomes a story of selfish revenge and relies on a surprise twist to keep readers interested. In the end, psychohistory’s inability to predict the histories of individuals and their emotions, threatens the existence of the Foundation because of The Mule’s mutant ability to read and influence emotions. At first glance, you might be tempted to think this is an actual statement about individuality or something, but really I think this was a huge cop-out for Asimov. In every other instance, Psychohistory was right…but in this case it was wrong. That is probably an inappropriately simplistic take, but to me it was cheap and disinteresting. How unfortunate that the most interesting element of the book was also the most disappointing. At the end of the book, The Mule gives one of those evil-plot-and-motivation reveals. He literally stops and says, “Let me tell you a story.” I will say this as clearly as I can: any book or film in which this happens is disrespectful to the reader. All authors should know that we both can and want to interpret complex human emotions and awkward social situations on my own. This is absolutely unacceptable. Always. This is also one of my favorite things to gripe about so allow me to illustrate. Similarly, if poor writers didn’t tell us exactly what was happening and how to interpret it, we wouldn’t care. The effect of this exchange was to make me want to stop reading with five pages left. My extra sloppy grammar should indicate how upset I was about this ending. This is pretty elementary stuff and I was really surprised to see it come from one of the most popular science fiction writers ever. The pace of this book gave the impression of the film adaption of a wildly popular book. In this case, the film would have been devoid of the meaningful relationships and dialogue that made the book great and would’ve had an overly fast moving plot with deeply unsatisfying gaps in time large enough to withhold substance and evoke severe frustration. It is an easy and fast paced read (simply because it spans over a hundred years), but lacks any justification for moving so quickly (little action, flat character development). I am borderline supes disappointed with this Hugo Award. 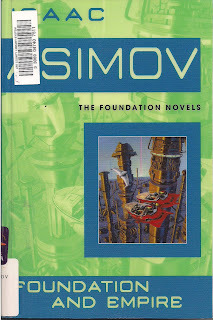 The Mule had some good material for possible social commentary but Asimov completely escapes saying anything about it. So for that which I would normally overlook considerable flaws the book ends up being totally uninteresting and lost my attention. While the ending was exciting and fast paced, it was only interesting to the extent that unanticipated plot turns can be and the overwhelming feeling I was left with was a bored disinterest. Although The Mule (Book 2) was marginally better than The General (Book 1) it does not stand on its own and I have a hard time believing this book would have won had they not waited until 1996 to give this award. Edit: I forgot to include mention that I'll be reading The Big Time by Fritz Leiber this week and the roll of the die landed me with Double Star by Robert A. Heinlein next week. So fun. Many thanks to my friend Donald for giving me the dice idea! I haven't read the book yet, but I wanted to be the first to post on your site...... I think your scoring system is great, but you need to add a catchy symbol or phrase. I called your daughter Emmie and she said that Fluffy Bunnies would work really well, I told her you would probably want something more professional. "I give The Mule 15 Fluffy Bunnies" just doesn't fit....Just a thought....On a Serious note great job and I will start reading today! I agree about the scoring system. I'll come up with something hopefully by next week. I can't even tell you how liberating it is to find someone else who has problems with the Foundation series. I only ever read the first book, but my impression was that the Psychohistory plot device was a cheap way of trying to simplify human actions and historical processes. It just didn't work for me. Then again, it very clearly illustrates the ways in which some of the early sci-fi authors viewed science and human affairs in general. They clearly thought that all the sciences are as reductionist and deterministic as chemistry and physics...so at least in that respect Asimov's creation of Psychohistory is interesting. I just discovered this blog and I'm totally going to read it all from start to finish. I've been trying to keep my blog about sci-fi going, and you have given me a lot of inspiration. Thanks! I'm always willing to invite people into the "I wasn't so happy with the Foundation series" club. I might be the only member. I will say that it seemed to get quite a lot better for me as the series went on. Glad you found the blog, hope you enjoy!